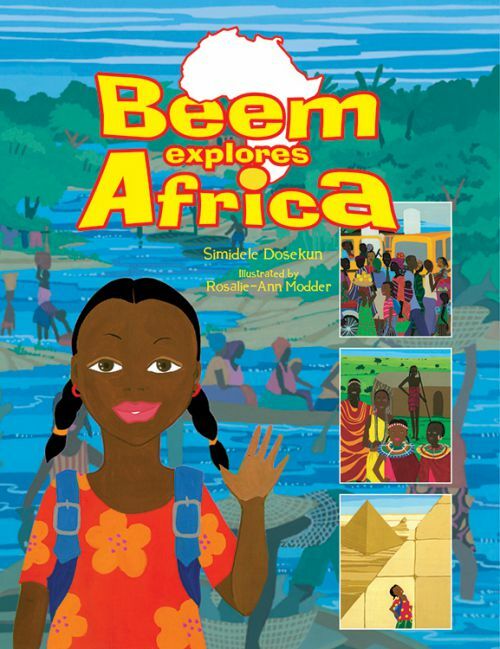 Beem Explores Africa follows a young Nigerian girl, Beem, as she explores the continent of Africa, meets its people and animals, and visits its key geographical and historical sites. The book introduces children to the physical and human geography of Africa. It has easy-to-read text, a glossary to explain key geographical terms, and vivid hand-painted illustrations. Beem Explores Africa also encourages in children a sense of adventure, tolerance of cultural difference, and responsibility for nature.